Before I Fall meets "bah, humbug" in this contemporary YA reimagining of A Christmas Carol from New York Times bestselling author Cynthia Hand. On Christmas Eve five years ago, seventeen-year-old Holly Chase was visited by three Ghosts who showed her how selfish and spoiled she'd become. They tried to convince her to mend her ways. She didn't. And then she died. 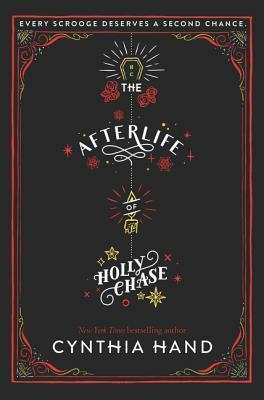 The Afterlife of Holly Chase is a witty, poignant, and insightful novel about life, love, and seizing second (or third) chances, perfect for readers who loved Before I Fall or Dash & Lily's Book of Dares.